Players can control various famous marvel super heroes like Spider-Man, Iron Man, Captain America, the Hulk, Wolverine, and more. This game is not only showing adventure but also funny humor that makes the game so much fun. In this game there are various super heroes from Marvel that come together in one game, a more unique feature is to create a super hero character itself, where players can modify the appearance of the characters to be used as desired. Players will pursue Cosmic Brick and adventure exploring LEGO Manhattan. 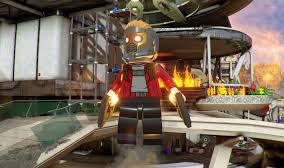 On the way, players can also visit the iconic locations of the Marvel world such as Stark Tower, Hydra base, Asgard, Asteroid M, and X-Mansion. 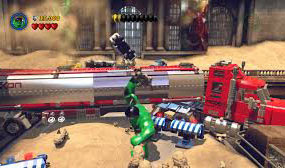 Play also follow-up titled Lego Marvel Super Heroes 2. 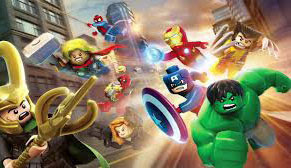 Players can fly and destroy everything with the ability of the super hero character chosen in the form of lego. In addition to the movements that characterize each of these super hero characters, there are also new movements that can be used by players. All traces of destruction will be seen in the neighborhood when players destroy the lego wall in the process of pursuit. The task of the player is to stop Loki who became the main dalang of the crimes that occurred. He along with various other criminals in the Marvel world are trying to make super weapons that can destroy the world.